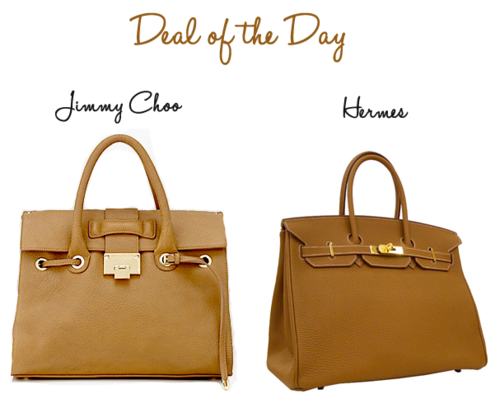 I saw this Jimmy Choo tote and immediately saw a close resemblance to the luxurious bag of the stars, the Hermès Birkin. Why spend $10,000 when you could buy this bag at only $1,495. Yes, $1,495 is a lot of money, but it’s not as big of a shock factor when compared with it’s Birkin counterpart. Personally, I am a huge fan of Jimmy Choo – the shoes are comfortable and the bags hold up extremely well. If you are in the market for a designer purse but don’t want to spend over $1500, go for this baby. Get your Birkin look-a-like here!